If the small group of visitors to the Mercer-Williams House, an antebellum mansion on the edge of one of Savannah's most elegant squares, are hoping to learn about the home's salacious history they are soon disappointed. Our knowledgeable guide does an excellent job describing the 18th and 19th century art and antiques including ivory tusks and a blunderbuss rifle collected by its last owner Jim Williams, but does not mention the notorious murder that happened in the study. The only hint that something out of the ordinary happened here is a small framed portrait of a white-haired, mustachioed Kevin Spacey on a sideboard – star of the movie version of John Berendt's best-selling book Midnight in the Garden of Good and Evil. Such is Savannah's complicated relationship with the non-fiction book released in 1994 that catapulted the genteel southern city into international consciousness. 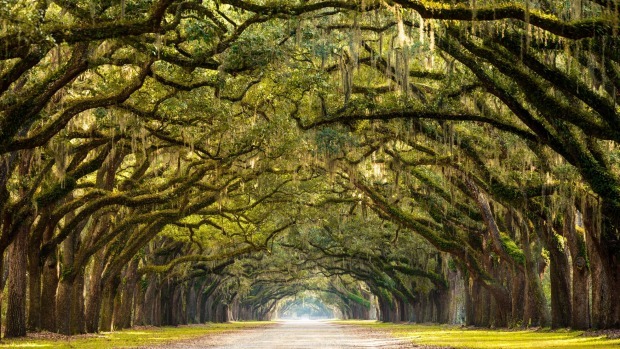 Before Midnight in the Garden of Good and Evil the oldest city in the state of Georgia on the south-eastern coast of the US was called the "Hostess City" and was known for its stately homes, verdant squares and the Spanish moss that drips atmospherically from century-old oak trees. The book, which spent four years on the New York Times bestseller list, revealed Savannah's eccentric sub-culture including drag queens, voodoo practitioners and hustlers in a rich story that fits into the truth-is-stranger-than-fiction category. On the eve of the 25th anniversary of the book's release there are plenty of visitors who, like me, come here clutching a dog-eared copy of Midnight. But Savannah is also a place that is very much looking to the future. The arrival of hip hoteliers, farm-to-table chefs and avant-garde artists (many of them graduates of the 13,000-strong Savannah College of Art and Design or SCAD) led Conde Nast Traveler to name the riverside city one of the best small cities in America. As well as retracing the story centred on Williams, an antiques dealer and preservationist who was tried four times for the murder of his assistant and lover Danny Hansford in the red brick mansion on Monterey Square, I want to understand the forces behind Savannah's intoxicating mix of Southern charm, enticing history and raw hedonism. John Berendt writes in Midnight that at Jim Williams' famous parties a pianist would play cocktail music on the grand piano downstairs while an organist played classical pieces in the ballroom above. "Butlers in white jackets circulated with silver trays. Ladies in long gowns moved up and down the spiral stairs in rivers of satin and silk chiffon." As a sixth generation Savannahian tells Berendt matter of factly: "Savannah takes its parties very seriously." It's no coincidence that absinthe is popular here. As well as shops selling artful piles of sugar cubes used to dilute the anise-flavoured liquor, the city has a hidden absinthe speakeasy, Mata Hari's, secreted down a cobbled laneway where you need a password to enter through its heavy wooden door. 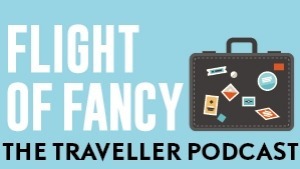 (Ask your concierge). Inside the dimly-lit room bartenders dressed in tuxedos and bowler hats serve (non hallucinogenic) absinthe cocktails and a lounge singer belts out a mix of jazz and Frank Sinatra tunes. 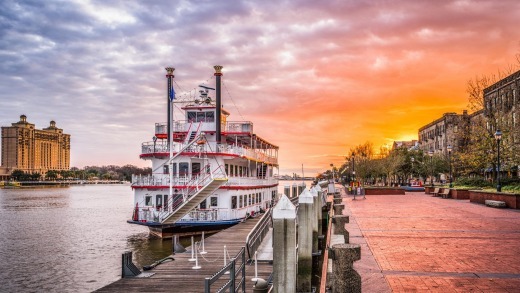 Some of the best places to visit in Savannah now are a seamless mix of old and new. 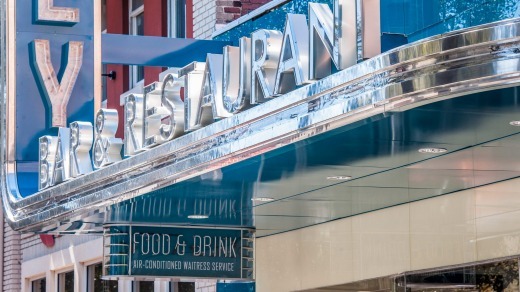 Take The Grey, (thegreyrestaurant.com) a restored art deco Greyhound bus station where chef Mashama Bailey serves up modern Southern fare such as foie and grits and tempura-fried catfish. Up the road, Husk, (husksavannah.com) with its high ceilings, chandeliers and bold, modern art feels a little bit like dining in a Southern gent's very grand home. 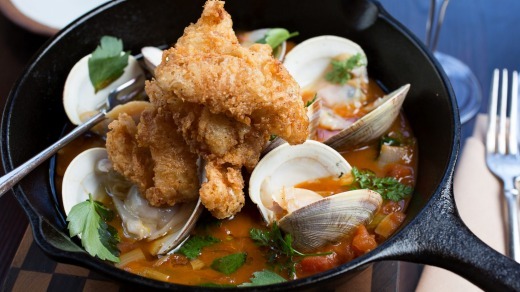 Again the menu, with dishes like smoked chicken wings with Schmaltz Hot Sauce and fried Bologna sliders, Husk (along with sister restaurants in Charleston, Nashville and Atlanta) aims to "redefine what it means to cook and eat in the South". 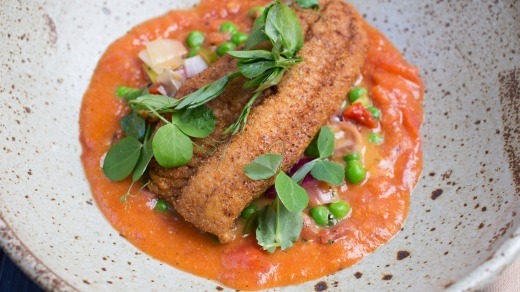 The new Perry Lane Hotel (perrylanehotel.com) is a delightful mix of traditional and arty. Inspired by the fictional character of Adelaide Harcourt, an art collector and seventh generation Savannahian, the hotel is part of Starwood's Luxury Collection. Linger in the black and white tiled foyer where staff wearing waistcoats, shorts and brogues serve up glasses of a famous local tipple, the Chatham Artillery punch, known as a "vanquisher of men". 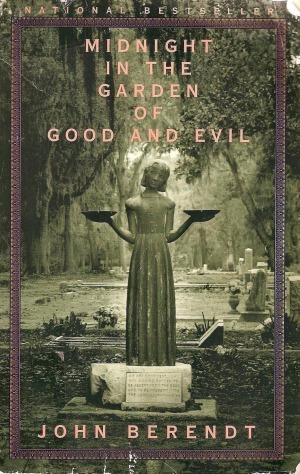 Midnight in the Garden of Good and Evil, by John Berendt, revealed Savannah's eccentric sub-culture including drag queens, voodoo practitioners and hustlers. You'll want to grab one of the hotel's bikes and tool around the historic district with its 21 elegant, tree-shaded squares. Spot SCAD students ambling to lectures with over-sized portfolios tucked under their arms, purposeful-looking lawyers entering grandly-named historic firms and realtors toiling in offices that double as art galleries. You won't find any high-rise buildings in the three-square-kilometre historic district but it doesn't entirely escape the scourge of bland car park buildings, drive-through ATMs and McDonald's outlets. As well as stopping at local boutiques, small galleries and antique stores you'll want to make a beeline for Forsyth Park. Lined with some of the grandest Victorian-style homes in Savannah, the 12-hectare park has a fountain that is a replica of the one in Place de la Concorde in Paris. 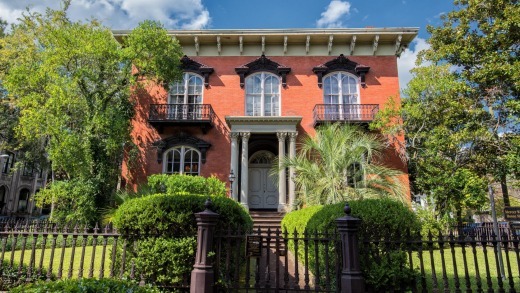 Close to Forsyth Park you'll find the Italian Renaissance-style Armstrong House. 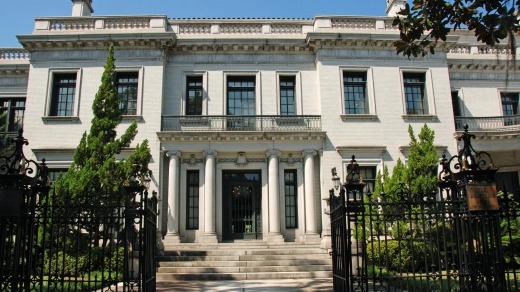 The 2300-square-metre, white-columned mansion spent many years as an incredibly grand law firm (having been bought in 1966 by Jim Williams, who bought a large number of historic homes to save them from developers) but has recently been bought by art patron and hotelier Richard C. Kessler, who is renovating it to turn it back into a private home. In what is a sign that the city isn't at risk of becoming a museum any time soon, Kessler is planning a housewarming party for the creme of Savannah society on New Year's Eve 2019 that will rival any of Jim Williams' famous parties. Now there's an invitation worth getting. Lauren Quaintance travelled with the assistance of Visit Savannah.